Checkweigher scales are used to describe weighing machines with built-in checkweighing functionality. By using a pre-set weight limit, business owners can ensure that each product weighed on the checkweigher scale pan meets the weight specified, eliminating product inconsistencies and, in turn, reducing the risk of products being returned or wasted. Ideal for busy warehouses, distribution facilities and factories performing stock and inventory control. 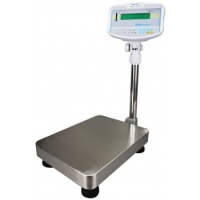 Manufactured by Adam Equipment, some of the scales in this category can be combined with Adam counting and weight indicators which offer additional checkweighing functionality with LED coloured checkweighing lights. 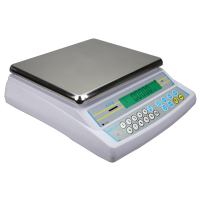 For more information about the range of checkweighing scales we have on offer please contact us. 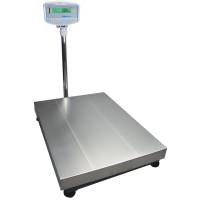 Adam Equipment GBK platform bench scales offer speed, performance and value. 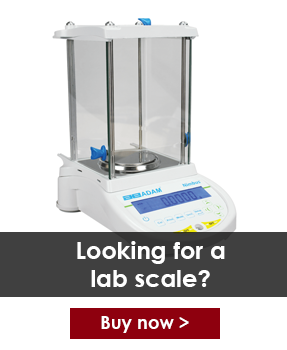 The GBK offers all the features needed for weighing, check weighing with LED limit indicators and parts counting applications with fully selectable sample or unit weight. GBK scales meet the demands of warehouse, production floor and general industrial medical applications. Counting & Weighing - Most checkweighing scales offer both check weighing and check counting functionality for added versatility in warehouse applications. LED check lights - Scales with built-in checkweighing typically include coloured LED checkweighing lights to provide a visual indicator for when a product's weight is either too low, optimum or too high (usually amber, green and red respectively). Audible alarms - It is common for checkweighing scales to include an audible alarm for indicating when a product is either too low or high before packing and distribution.